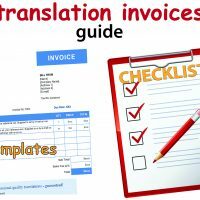 Getting an independent translation review to confirm a translation is accurate and well worded should be a simple and straightforward process. However without care it can easily become more complex and time consuming than necessary, often leading to an unsatisfactory or confusing result. Well, here are two not uncommon translation review outcomes. A professional freelance translator delivers a translation to his client, confident his work is of high quality. 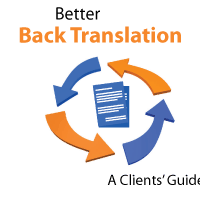 A few days later the client advises he had a translation review done and his reviewer found several mistakes that needed correcting. The translator reviews the changes made and sees they are all stylistic – the reviewer’s preferred way of saying essentially the same thing. He likes some of the new wording and thinks it could be kept. However other changes he thinks are inferior to his translation and should be rejected. He informs the client of this, and that none of the changes made were needed because of errors in his translation. 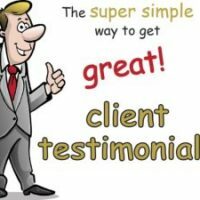 The client is left not knowing who to believe, which version of the translation to use, or if either are really of high quality. The translation review process has now created a problem. 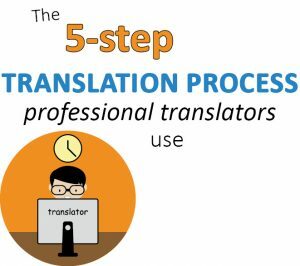 A translation company delivers a job to an exporter client, who asks a contact in the target market to have a look over the translation. The contact makes numerous changes and says the translation was generally of only average quality and not really suitable to use. 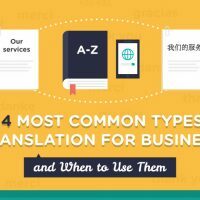 The translation company analyses the changes made and sees that the text has essentially been re-written to produce a sales-focused, marketing text quite different in style to the formal, informative text of the original. Translation review pitfalls: reviewers’ judgments on translation quality won’t always stand up to scrutiny. In places the text now says something different to the original, and there are a couple of typos needing fixing. 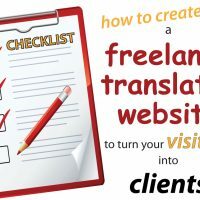 The translation company advises the client of this, confirms that no changes were made to correct errors, and says it is confident the original translation was accurate, appropriately worded and matched the style of the original. The translation review hasn’t turned out as the client expected, and he is now in something of a dilemma. He needs to keep the contact onside, but isn’t happy with what he has done, and doesn’t want to incur additional cost with the translation company. 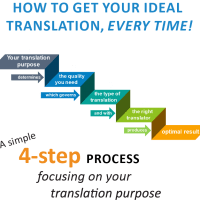 Here are our two key tips to avoid these and similar scenarios, and ensure you get exactly what you want out of a translation review process. A translation review can take many forms. For example, it could be just a simple check for grammar or spelling errors. 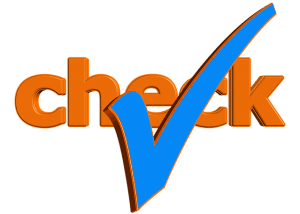 Or a check for translation accuracy – ie to confirm that all meaning has been carried over and correctly expressed. Or it can focus on quality of expression to ensure the translation reads naturally and is easily understood. Or for a technical text a technical expert might review how jargon and technical terminology has been handled. You need to be clear in your mind what you want the translation review to achieve, and thus your reviewer to do. Then ensure this is clearly communicated. If you’re ambiguous or unclear in your instructions, your reviewer may well do something you hadn’t intended. It’s not uncommon for reviewers to see their task as more than just a review and assume that they are now in charge of the translation so can re-word it to their style. The result can be a lot of time and effort spent on edits of questionable value. And these can end up generating a final text that may not actually be any improvement on the original translation. Who is ultimately responsible for the translation? Related to this, you need to be clear who has final responsibility for the text. Are you giving your reviewer carte blanche to make any changes he/she sees fit? Or are his/her suggestions and recommendations to be referred back to the original translator for consideration? The first approach can be risky as there won’t be anyone to check that the reviewer’s changes are appropriate. We often see changes made by clients’ reviewers that are poorly worded, unnecessary, or actually introduce errors into the text. If you are giving your reviewer final say on the text you need to be totally sure he/she has the requisite skills and experience, and will do a professional job. The second approach is safer, and we would recommend it unless you have absolute confidence in your reviewer. We’d suggest making the reviewer aware that all suggested changes will go back to the translator for his/her assessment and decision. This tends to dampen any tendency to over-edit and make unnecessary stylistic changes. 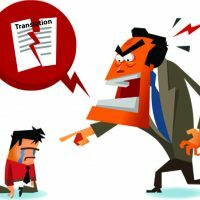 It also avoids the situation where a reviewer gets carried away with his/her edits and then seeks to justify the extent of the changes by saying the original translation was deficient. And yes, this can and does happen. Bear in mind though that the original translator may seek additional payment for having to revisit a completed project, particularly if he/she has to spend time assessing the value of stylistic changes recommended by the reviewer. If you’re wanting a review of just technical terminology, it will be obvious a technical expert is needed. 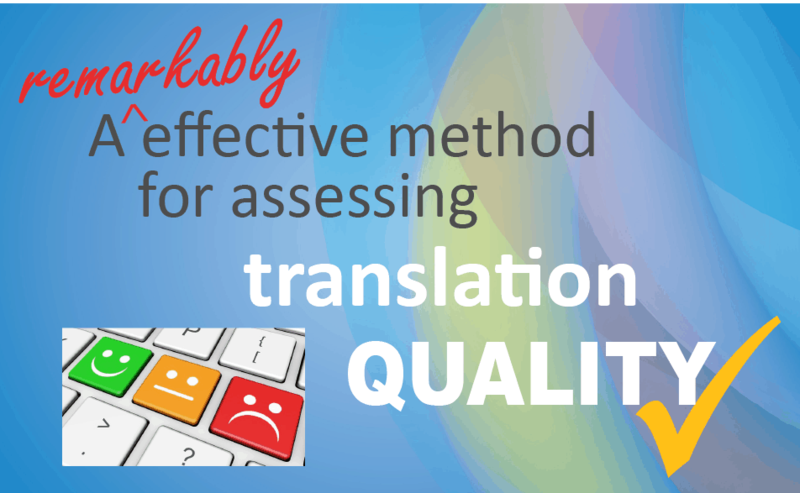 But it can be less evident what skills are needed for someone conducting a translation review checking for translation accuracy and/or quality of expression. To check for accuracy the reviewer will need excellent knowledge of both target and source languages. Not just a reasonable understanding, but a genuinely advanced, near native-speaker, level in both languages. Otherwise he/she may misunderstand meaning or miss subtle nuances. To ensure any changes made will be clearly and naturally worded using appropriate vocabulary, excellent writing ability in that language and text style are necessary. Given that most of the population aren’t particularly good writers, this is an important consideration. To know if someone is a good writer you basically need direct experience of their formal writing skills. Unfortunately general academic achievement isn’t necessarily an indicator. 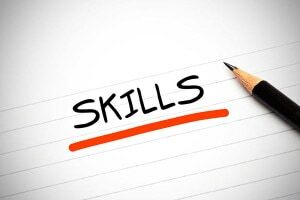 Don’t even consider someone who would be writing in their second language – they are most unlikely to have the required skills. You need someone who will be thorough and pay attention to detail. More the perfectionist, quality-focused, bookworm type personality than the broad picture or high output focused person. Get the wrong personality type and they may do a cursory job, make spelling mistakes, or use wording that isn’t particularly elegant. At the other extreme, the pedant may take issue with everything and want to make extensive changes that really aren’t warranted. Our experience is that anyone who hasn’t done this before is likely to over-edit. Inexperienced editors conducting a translation review will often want to make more changes than is necessary. That is, they’ll want to change things to the way they would tend to say them. They typically make changes that are purely stylistic or personal preferences and aren’t really necessary. The experienced reviewer will respect the translator’s writing style and vocabulary choices. Only wording that is a little loose, not completely clear, or not particularly elegant should be changed. Using someone with editing experience isn’t completely necessary, but is likely to produce a markedly better result. 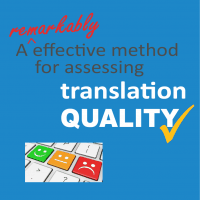 There is more to getting a translation review than you might think. 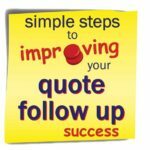 The process can often become more complicated and time-consuming than anticipated. Sometimes it will end in a dubious result. 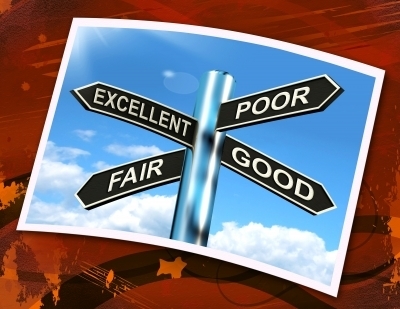 – ensuring the reviewer has the right skills for the task. If the reviewer is to have final say on the translation wording, or will be recommending changes, it is essential he/she has excellent writing skills, the requisite language knowledge, and good attention to detail. 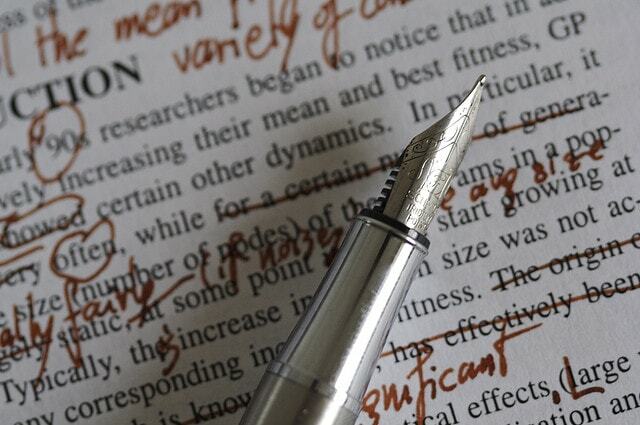 Best results are likely to come from a reviewer with previous editing experience. The required combination of skills is not that easy to come by, so selecting an appropriate reviewer isn’t always easy. 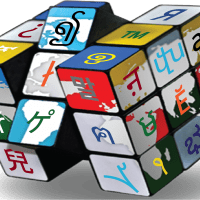 Reputable translation companies offer a translation + review service using two translators that is considered best practice and conforms to EN15038, the world’s leading translation Quality Standard, so this is a good option for clients to consider. Let us quote for your next translation project. 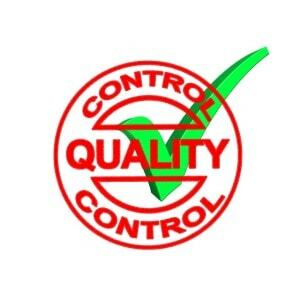 We know our stuff and will deliver you high-quality work! and we’ll be right back to you.